My grandkids have stunned me with their enthusiasm for writing. And all it took to inspire them was a very simple activity. I invited our ten youngest grandchildren (aged 4 to 12) to write their own family newspaper. Although I devised our family publication myself, I’ve since learned that there are abundant resources—albeit of vastly different qualities—available online. You’ll find some links below. The first challenge was to explain to them what a newspaper is. The irony is not lost on me that none of our four families currently subscribe to daily papers. It was more difficult than I anticipated to explain to all of the novice journalists precisely what newspapers are. I use the present tense, because the medium is not quite obsolete, despite the downward trajectory of most local papers. As an editorial in the Washington Post said this year, “newspapers have been dying in slow motion for two decades now.” And it seems to many the process is accelerating. Nevertheless, as the proud veteran of high school and college newspaper staffs, and a former contributor to my hometown weekly, I believe such publications are ideal for developing writing skills. The passion overflowing from my writing bullpen has vastly exceeded my expectations, confirming my impression. While it took a while to gather enough submissions for the first issue, they rushed to fill the second. When each was “published,” all of the kids immediately sat down and read their personal issues from proverbial cover to cover. My endorsement of family newspapers does not carry over to the commercial press. Sadly, too much of what is presented as “objective reporting,” is patently subjective. I debated my journalism profs about that matter forty years ago, and the evidence has only grown more visible. I also agree with C.S. Lewis’ opinion that the majority of what passes for “news,” is superfluous or sensationalistic. Even in peacetime I think those are very wrong who say that schoolboys should be encouraged to read the newspapers. Nearly all that a boy reads there in his teens will be seen before he is twenty to have been false in emphasis and interpretation, if not in fact as well, and most of it will have lost all importance. Perhaps ironically, Lewis did not hesitate to publish his own writings in worthy newspapers. Most notably, The Guardian (an Anglican newspaper printed between 1846 and 1951) published several of his essays. In addition, they presented to the world (in serial form) both The Screwtape Letters and The Great Divorce. After describing to the kids what newspapers are, I provided them with a list of potential subject matter. In addition to “standard” sorts of news and reviews, I added things like “sermon notes,” fiction, and comics. I encourage them to illustrate their own articles, and the first two issues have been graced with images of dogs, horses, King Tut, and a Turtle Bear (who served as a weather forecaster). Each child contributes at their own level, and the cousins commend each other on their efforts. We’re early in the stages of teaching the kids about rewriting and self-editing. Depending on the situation, either their parents or the editorial staff (grandma and grandpa) assist them with learning to revise their own work. I must confess that one of the most fun aspects of Curious Cousins Courier is my ability, as the editor, to creatively engage in a bit of editorial privilege. The primary example comes in a “Family Heritage” feature that I write for each issue. In the first, we considered the life of the cousins’ great-great-grandfather who immigrated from Norway in 1912. Julius Olaissen Næsbø unsuccessfully attempted to travel on the RMS Titanic, but the steerage class was full, and he had to settle for a departure several weeks later. The fringe benefit of reading about “Grandpa Nesby” came in learning that other languages include letters in their alphabet that are foreign to us in the States. In the second issue, I pointed the children to one of their ancestors who helped establish our country itself, during the Revolutionary War. Joseph Johnston was born in Ireland, and was a sergeant in the Fifth Virginia Regiment. The importance of cementing family bonds—and instilling a healthy awareness of our family’s legacy—is extremely important to me. I suppose that is due in large part to spending the first third of my life as a nomadic military kid. Yet that sense of disconnectedness from my extended family did not prevent me from inflicting the same itinerant military lifestyle on my own children. But that’s a story for another day. If you help to establish a newspaper or journal for members of your own family, I trust you will find it as rewarding as I do. “How to Make a Family Newspaper,” from wikiHow. More developed thoughts, with an eye toward the classroom, are available at The CurriculumCorner. Everyone loves a compliment. Allow me to rephrase that. Most people appreciate a sincere compliment when it is genuinely flattering. Actually, “flattering” isn’t a good word choice here. Flattery has a bad rep. The way it’s currently used, it hints of exaggeration and manipulation. So let’s return to the concept of “compliments” in general. Most, we know, are welcome. It’s nice to have someone tell us we did a commendable job or had a good idea. Now, that is nothing but an insult. And it’s an insult of the crassest variety. One that demands no wit at all. The British, on the other hand, are often capable of offering highly refined backhanded compliments. I just came across a delightful one, delivered by the commander of the King’s forces during America’s War of Independence. What makes this exquisite is that it was offered in the wake of the general’s defeat at the close of the war. You can read more about the context for that statement in an excellent article about the American legacy of “citizen soldiers” published in Hallowed Ground magazine. This excellent journal is published by the Civil War Trust, which works diligently to preserve battlefields from the Civil War. They have recently expanded those efforts to include the Revolutionary War. Lewis included backhanded compliments in his fictional works. Two simple examples follow. The first is found in The Screwtape Letters, where the tempter frequently commends the skill of God (“the Enemy”) in redeeming the lost. Never forget that when we are dealing with any pleasure in its healthy and normal and satisfying form, we are, in a sense, on the Enemy’s ground. I know we have won many a soul through pleasure. All the same, it is His invention, not ours. Here is an offhanded compliment that Lewis places on the lips of Prince Corin in The Chronicles of Narnia. He is asked where Queen Susan is, on the eve of a battle and he responds like a typical young boy (which he still is at the time). He praises the martial spirit of her sister, Queen Lucy, who is a young adult at this point in the series. At Cair Paravel. She’s not like Lucy [her sister who is in the ranks of the archers], you know, who’s as good as a man, or at any rate as good as a boy. Queen Susan is more like an ordinary grown-up lady. She doesn’t ride to wars, though she is an excellent archer. (The Horse and His Boy). The late Bruce Edwards described how C.S. Lewis offered H.G. Wells a backhanded compliment. He did so by following the structure of Wells’ works, but devoting them to a vastly different philosophical purpose. In Out of the Silent Planet (1938), Lewis adapted the general plot outline from H.G. Wells’s First Men in the Moon in order to tell an essentially anti-Wellsian tale. In Perelandra, Lewis pays a similar backhanded compliment to the man he admired as a speculative writer, but not as a philosopher. The broad narrative structure of Perelandra resembles another novel by H.G. Wells, The Time Machine (1895). . . . In Wells’s novel, this narrative outline provides the basis of a quasi-Marxist fable about effete bourgeoisie and surly proletariat. In Lewis’s hands, a similar story structure tells a very different tale, one in which the ultimate battles are not economic and political, but rather cosmic and spiritual. (C.S. Lewis: Fantasist, Mythmaker, and Poet). Lewis’ use of Wells’ science fiction template was not meant to slight him. It was actually a tribute. Likewise, in the examples from his fiction, Lewis is simply representing (effectively) the attitudes of the speakers. And that, when it came to winning the war, apparently proved quite sufficient. During the early 1990s I was stationed at RAF Greenham Common and RAF Alconbury in the United Kingdom. Our family loved our three brief years in that inspiring land. One of the quaint things I recall was the relatively frequent question I was asked when meeting someone new. They would inquire as to “how things were going in the colonies.” It was actually a pleasant ice-breaker, and never said maliciously. The comment offered no cause for offense. It’s been too long since the United States was a British colony for it to be more than a historical comment. The heated issues that once led to bloodshed have become historical trivia. There are, of course, many “younger” nations in our world that are still struggling to discover their post-colonial identities. This has been notoriously difficult where occidental powers established arbitrary boundaries that failed to recognize ethnic, religious or cultural considerations. So, why is today’s post pondering the concept of colonialism? 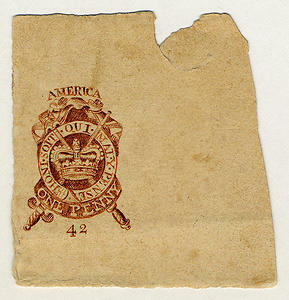 It just so happens that today is the anniversary of the imposition of the Stamp Act (tax) on her colonies by the British. It became law in 1765, a full decade before the War of Independence, but it was one of the alienating actions that laid the foundation for the upcoming rebellion. …which covered textiles, wines, and coffee, in addition to sugar. …which undermined colonial mercantilism and freedom. …which transformed every American home into a free bed & breakfast for British soldiers. You get the idea. Georgia, Pennsylvania, Maryland and their like were merely colonies, so why should their concerns be factored into the equation? Extremely shortsighted. Not to mention, quite selfish. C.S. Lewis addressed this subject in his major historical work. The best European minds were ashamed of Europe’s exploits in America. Montaigne passionately asks why so noble a discovery could not have fallen to the Ancients who might have spread civility where we have spread only corruption. (English Literature in the Sixteenth Century). We recognize that Montaigne’s notion is just a tad idealistic. If the Romans had colonized the Americas, for example, the indigenous people would hardly have been treated any differently. And the introduction of gladiatorial arenas would have presented an arguable civic improvement. Still, Lewis’ point is completely valid. Whenever humans conquer or “colonize” their fellows, the colonies always get the proverbial “short end of the stick.” Thus, we recognize that it’s tough being a colony. So, where does that leave us? Historically informed, perhaps we can make better decisions in the future. Weaker nations and peoples should never be exploited. It’s not just a matter of justice. Ethics aside, history teaches that sowing seeds of alienation and discontent invariably reap an unwelcome harvest. One word of hope that we see in this historical snippet is that despite a combative history, lands (and people) can lay aside their animosity and become sincere allies. Which brings me back to the place where I began this column . . . living in an era when these nations that fought not one, but two wars, are steadfast friends.